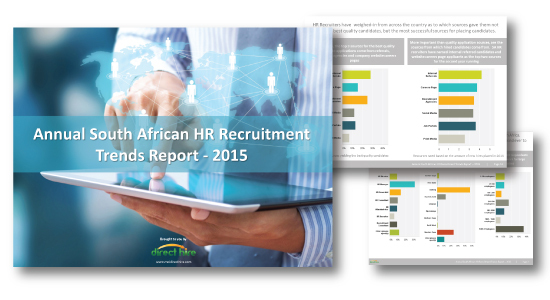 The much anticipated 2015 HR South African Recruitment Trends report whitepaper is now available to download for free. This report is based on South Africa’s largest annual HR Recruitment Trend survey and is the most definitive source of recruitment trends currently available. The war for talent has heated up to unprecedented proportions, find out how South African organisations are responding and measuring up to the challenge. This South African Recruitment Trends Report has been compiled in an easy to read format. Please click above to download the full report.